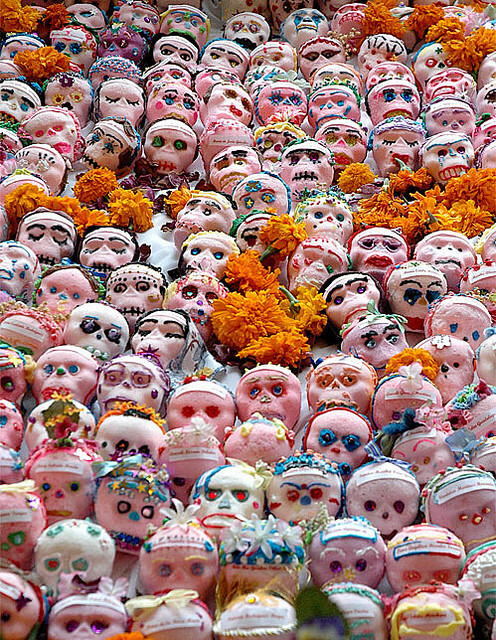 Sugar Skulls are one of the most popular and iconic symbols of the Day of the Dead Celebration. 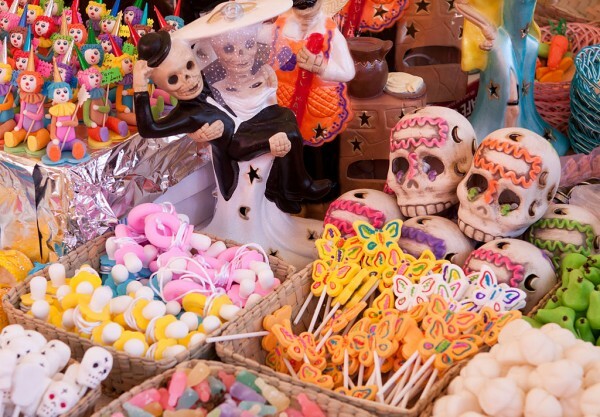 When the Day of the Dead festivities approach, one can find sugar skulls being sold nearly everywhere; in traditional markets, stores, and street vendors. Sugar skulls can be also made at home or at school. The basic ingredient is of course azucar, sugar! The decorations are made with colored icing. 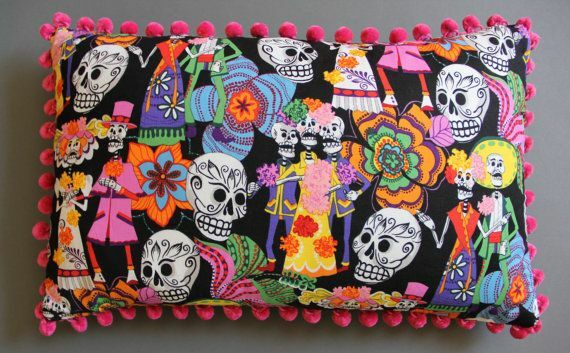 Some sugar skulls have popular names so everyone has their own special calavera! Sugar Skulls or calaveras de azucar, can be given to living friends or placed as an offering to our dead relatives and friends placed in the ofrenda. 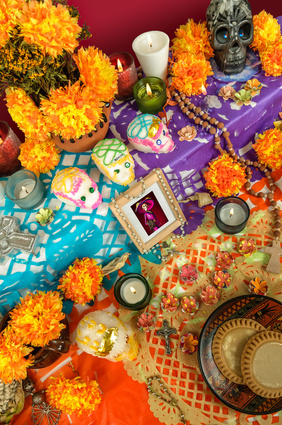 The sugar skulls vibrant colors and festive decorations reflect the spirit of the Day of the Dead celebrations: a day of happy remembrance of our dearly departed. 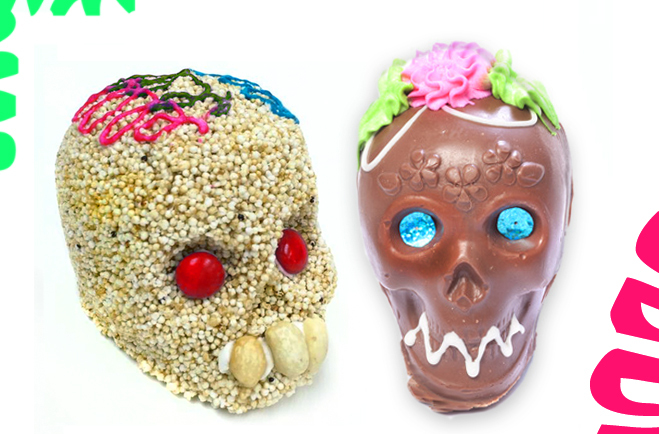 Nowadays there are also delicious skulls made of chocolate, amaranth, or any ingredient that can be molded into a skull. Sugar skulls have become so popular that you can see representations of them in pillows, tattoos, phone cases, prints, stickers, you name it!